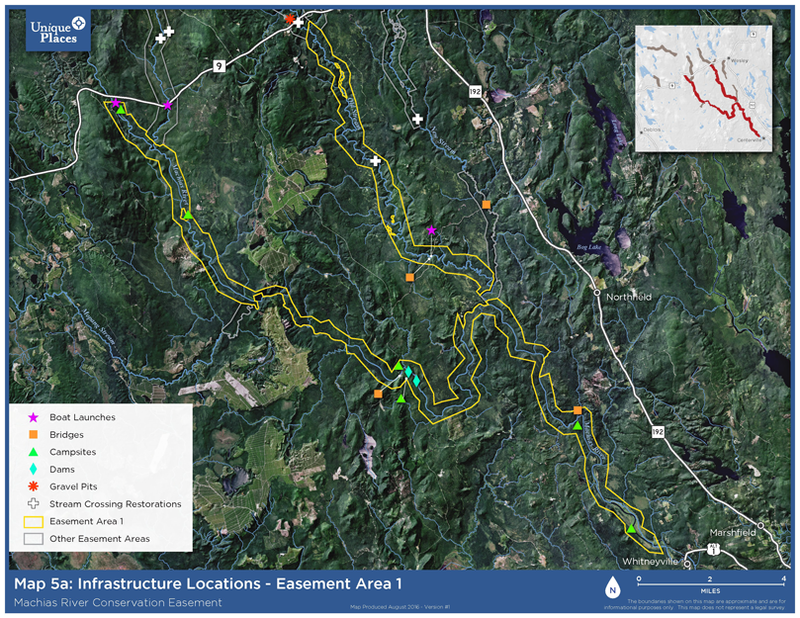 UPGIS utilized GIS data inventories, techniques and processes to help our client understand and manage the spatial complexity of an 18,000+ acre conservation easement along the Machias River in the State of Maine. 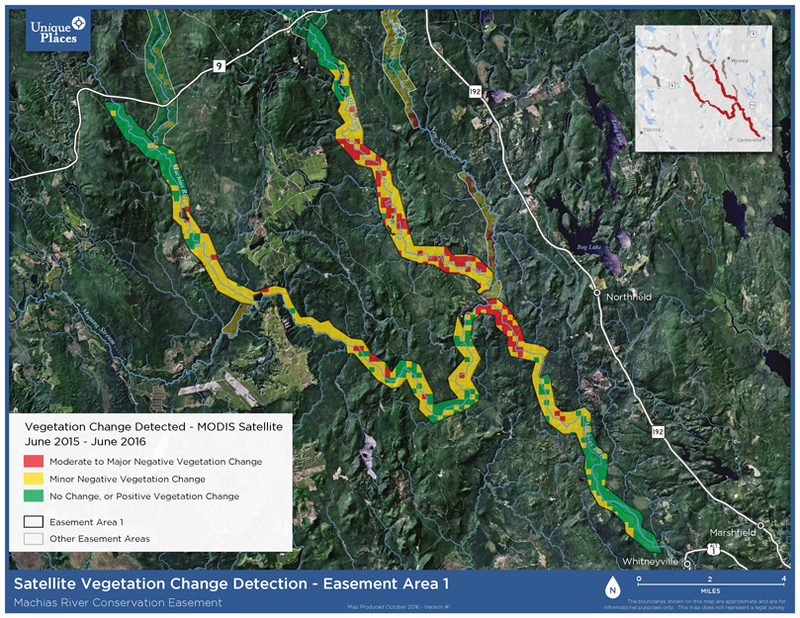 We completed a comprehensive inventory of the 18,000+ acre easement area; created a robust GIS stewardship database; developed a series of monitoring maps for use in the field and reporting; and also created a process by which our client could utilize readily-available satellite imagery to help monitor the more inaccessible portions of the conservation easement. 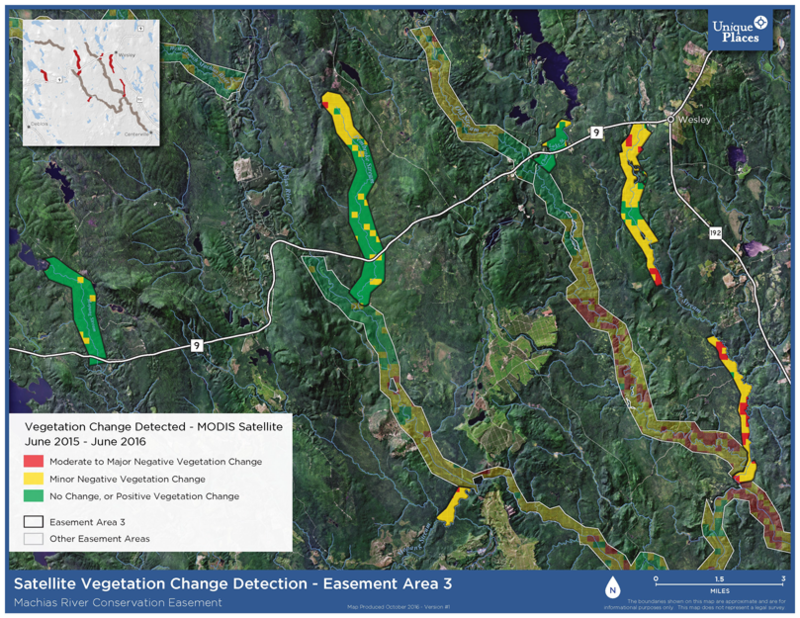 These maps, data and tools enables the State of Maine to improve the ease and accuracy of monitoring the conservation easement in the future.